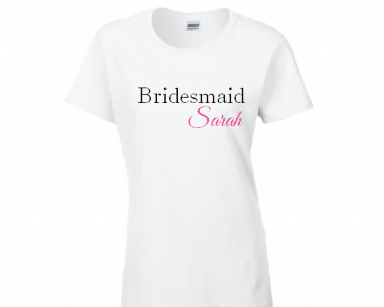 A selection of Personalised Bridal Party gifts and accessories for the Bridal Wedding Party. 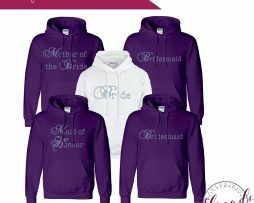 Our gorgeous and affordable personalised Bridal Party clothing make great gifts for your Wedding day. 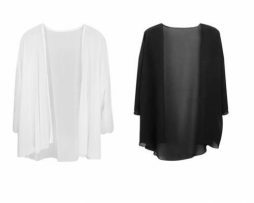 We have plenty of Wedding Robes that are perfect to get ready in on the morning of the wedding. Your wedding photographer will take beautiful getting ready photos with all the Bridesmaids in their robes. 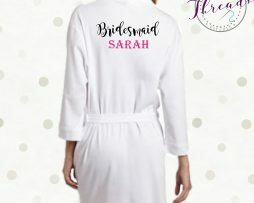 In this section, you will find everything personalised to wear for Bridesmaids and other members of your Wedding Party. 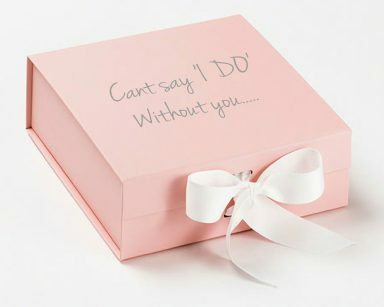 Bridesmaid & Wedding thank you gifts personalised in one of our luxury gift presentation boxes. To create a unique and personalized gift. So if you’re wondering where to buy Wedding Keepsakes for Bride, Bridesmaids and Bridal Party members. Look no further than our award-winning wedding clothing company. Wedding Party gifts cover everyone in the Bridal Party. Mother of the Bride gifts, Father of the Bride gifts, children’s flower girl gifts and Page Boy gifts. Your group of stunning Bridesmaids have been there for you through everything. 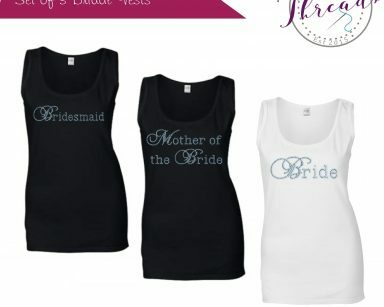 Show your ladies how much you appreciate their help, support and love using Personalised Bridal Party Gifts. We have a wide array of stylish items to help you show your thanks. Shop online today to find the very best Bridesmaid Gifts for your besties. Before tying the knot, ask your closest relatives to stand by your side with on-trend bridal party gifts they will treasure. Shop our collection to find trendy bridesmaids and maid of honour gifts to give your team. 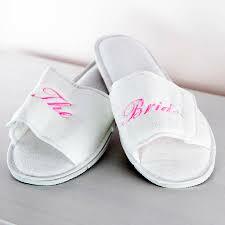 Such as personalised gifts that ask every particular person to be a part of your bridal journey. Even more, once they say yes. 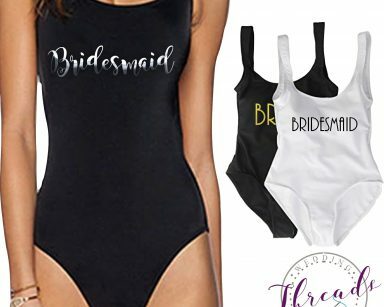 Browse our unique Personalized Bridesmaid gifts to discover the best ideas for the Bridal Party on your special day. Your girls have helped you aim, prep and pull every aspect of your wedding from the start. Let them know how grateful you are by giving them presents which are both personal and practical. The customised bridesmaid and maid of honour gifts Include personalised bags and cosmetic bags. 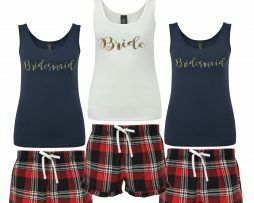 Bridesmaid Pyjamas and wedding robes your ladies will love using while getting prepared for the Wedding. Because your Mother of the Bride and Father of the Bride is irreplaceable. So shop our complete collection of Mother of the Bride Gifts and Father of the Bride Gifts now. Find the things that you want to show your thanks for their service. And for being there on the best day of your life! Tailored to so suit your needs, we can have the whole Bridal Party. Coordinating along with the Children of the wedding party.